Clue HQ has venues across the UK but the one room that sparked a particular interest with us was Hellevator, a game currently exclusive to its Birmingham branch. We travelled to the West Midlands intrigued not only by the rooms kooky narrative - you're auditioning for the next reality show conducted by Professor Errol Tepet and Dr Psik who provide puzzles to solve in order for your team to reach level 13 and succeed - but also curious as to how Clue HQ were going to implement a realistic elevator setting within a static room. Any doubts of how this could be recreated were immediately alleviated within the first few moments of being in the space. After a well produced and clever introductory video, the game itself started strong with the initial pressurising puzzles forcing us to work cooperatively by finding resolves to separate ourselves from the predicaments we had suddenly found ourselves in. Having passed our first initiation, the puzzles continued to come thick and fast. There was a good variety of puzzle styles from basic searching, logical, maths, and observation. There was even some cleverly implemented and fun to complete physical challenges too, one in particular we felt to be the rooms big stand out moment. Each puzzle remained steadily rewarding as the last and offered a real sense of progression within the game. You are always acutely aware of how far you are from escaping, which did well to add to our time pressure and an aspect that's often sidelined in a lot of rooms. Our only minor niggle was the inclusion of one puzzle resolve found on an item that often doesn’t form part of any escape game. We needed a clue here and felt a little duped by this - but perhaps that was our oversight for not checking things we naively assumed we shouldn’t. 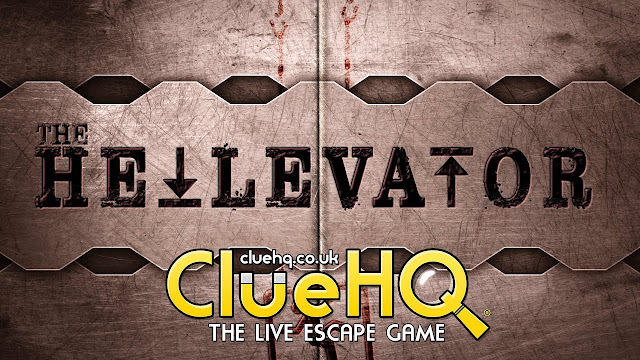 The biggest achievement of Hellevator however is its clever transitioning between the floors. The room designers obviously have a clear understanding of sensory perception and every aspect of its build executed this knowledge faultlessly. We left the space having felt we’d spent the last hour flying up and down a lift shaft. Beyond the consideration of its highly produced visuals and the superb quality of its many puzzles, it’s the ingenuity and originality of the rooms immersive and realistic set design that deserves an ovation of its own. The Hellevator was a pleasure to play. 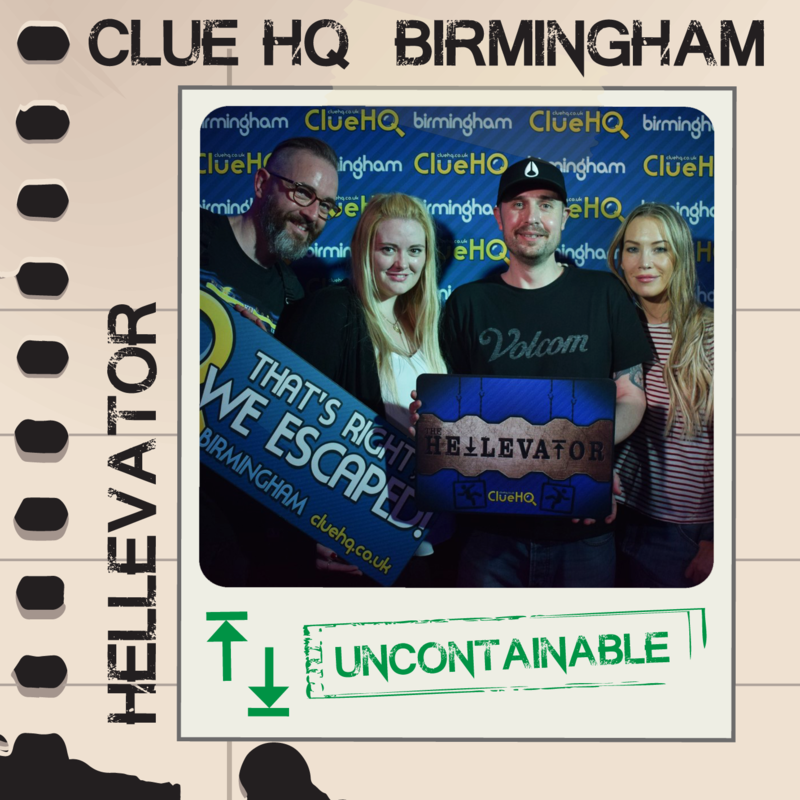 Not quite as hellish or intimidating as perhaps the name alludes but Clue HQ Birmingham have pushed all the right buttons in delivering an excellent room that takes the escape game genre impressively to the next level.